As a coach, you are (or will soon be once you complete your coach training) in the business of helping people to transform their lives to the highest possible level in all aspects, be it their work life, relationships or any other area where they feel they need to change. This responsibility (of a change facilitator) will be easier to perform if you equip yourself with the right knowledge and skills. What better way to prepare yourself than to read the right books? Here are seven books every coach must read in order to help his or her clients to be the best that they can be. In this life-changing book, Dr. Demartini argues that everyone can make each moment of their lives fulfilling. This can be attained not by saving every penny you come across or boosting your educational qualifications. Instead, you must first identify your values as an individual. Once you find those values, then build each aspect of your life so that it is in alignment with those values. This book also has an extensive questionnaire that can help each reader to discover what their true values are. This tool can be an invaluable one when you are dealing with coaching clients who would like to have a more meaningful life. Each of the chapters in this book explains how a different aspect of your life can be brought into alignment with one’s core values. Your clients will forever be indebted to you if you implement the lessons in this book while helping them. This is the second of the seven books every coach must read. In this book, Dweck explores the impact of motivation on the trajectory that one’s life takes. The difference between success and failure largely depends on one’s motivation, she continues. Carol Dweck explains that all people can be categorized as having one of two mindsets. The first mindset is “the fixed mindset” in which you view yourself as having been gifted with a finite amount of certain abilities, such as intelligence. This mindset causes you to devote all your effort to showing that what you were gifted with is sufficient. For example, you will always get defensive when someone tries to correct you because you want to prove that you are right (and your intelligence is therefore sufficient). The second is “the growth mindset” that makes you believe that you can keep improving until you reach the pinnacle and beyond. Such a conscious and unconscious belief makes you behave in a totally different way from another person with a fixed mindset. For example, you will take criticism in good faith because it offers you an opportunity to improve. This ends up opening more opportunities for you to grow and you are likely to succeed in everything you undertake. Carol Dweck’s book will give you valuable insights that you can deploy when dealing with a coaching client who has deep-rooted beliefs that are standing in his or her way to success. Each person that you meet is either an example or a warning. Which are you? This question, paraphrased from Robbins’ book will surely get not just you but your coaching clients thinking hard and long about each aspect of their lives. Robbins is himself a coach whose success reverberates wherever it is talked about. How can you doubt a person who got a Congressional award at “the ripe old age” of 23? This book takes you through the proven steps that you can follow in order to live a life that is authentic and fulfilling. You will easily move from where you now stand to where you would like to be more easily once you read this book. Robbins successfully lays out each chapter of this book in a way that will provoke you into thinking about the ways through which you can improve each aspect of your life so that through your growth, you will have a bigger impact on others. Ask your coaching clients to read this book, or pick snippets that they can apply in their lives in order to get rid of distractions and devote their time or effort on only the things that matter. Success will surely result once they make these changes. This allegorical story has been read by millions around the world for one simple reason; it teaches readers to follow their dreams, listen to their intuition and learn the lessons that everything happening around teaches them. This is a powerful book for your coaching clients who have lost themselves and need help in discovering who they really are and how high they can aim instead of just settling. If you can take just one sentence from this book, it is that positive brains have a big advantage over brains that are in neutral or negative gear. The book goes to great lengths to explain how one can control his or brain in order to improve productivity and performance by capitalizing on positivity. The author gives readers a list of principles that they can implement in order to make positivity or happiness an integral part of their lives. By rewiring your brain in this way, you almost make success a foregone conclusion because your outlook to everything that happens will be geared towards benefiting from everything around you. This book is a good read because it will equip you with the tools that you need to help your coaching clients to change their attitude. Tony Hsieh is the CEO of Zappos, an exceptionally successful online shoe retailer. In this book, Hsieh explains how creating record results (whether for your business or in any area of your life) goes hand in hand with creating happiness. Hsieh explains that in his company, all that matters is focusing on the culture. Other things, such as a great customer experience, fall in line once the culture is right. This is a great resource not just for your needs as a coach but also for your clients. It will enrich your repertoire of tools that you can use to narrow down your client’s focus to the basics if lasting change is to be attained. For example, your coaching clients who focus on building rapport will succeed more during networking or other career-related interactions. Coaching is largely about helping clients to replace their not-so-helpful habits with productive or helpful ones. This book by Duhigg focuses on just that. It shows you that your brain saves energy by automating (aka forming habits) most of what you do. Habits depend on three things (a cue, a routine and the reward), according to Duhigg. The author explains that changing the routine is often sufficient to alter a habit for good. For example, someone who craves a drink once they get home at the end of each day can break that habit by taking a glass of juice once they reach home. This routine will eventually break the habit of reaching for alcohol as soon as you get home. Of course alcohol addiction is more complex than that, but most habits can be altered by tweaking the routine in the habit loop. Duhigg emphasizes that anyone who wants to change their habits needs to develop one major habit, that is, willpower. He explains three ways through which willpower can be built, such as by always doing something that demands plenty of discipline (a strict diet, for example). Read the entire book so that you can learn the different ways through which your clients can develop the willpower that they need to attain all their goals. Reading should be a life-long habit if you are going to be helpful to a diverse array of coaching clients. Start by reading the seven books above and recommend them (where necessary) to your clients. Keep broadening your knowledge by reading more and more. 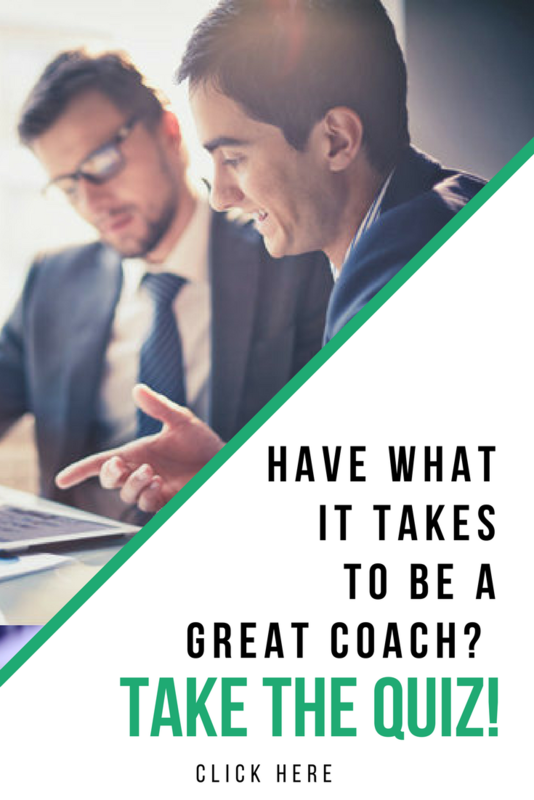 Before long, you will be a sought-after coach because of the massive knowledge that you will have gathered regarding the practical ways to help those that come to you for help as a coach. This entry was posted in Uncategorized and tagged 7 Books all Coaches Should Read, books, books for coaches, Books to Reach. Bookmark the permalink.